BumperDoc is the one-stop shop for auto body repair, auto reconditioning, and auto appearance needs. Customers can find many high quality services under one roof, including bumper repair, dent & ding removal, window tinting, windshield repair, auto detailing and more. 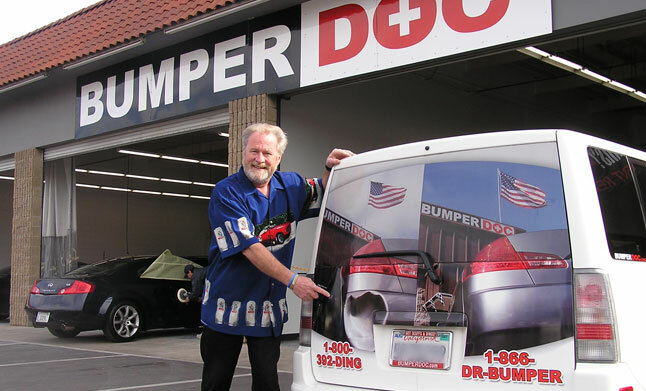 With roots beginning in San Diego, California, BumperDoc introduced a single location providing a variety of quality automotive services at reasonable prices that could often be done in a day or less, and in doing so experienced enthusiastic acceptance from customers and business partners alike. Buoyed by this success, BumperDoc began to expand into new locations, bringing its brand of automotive service excellence to more and more communities, and providing excellent opportunities for people to get into business for themselves. Knowing that customer satisfaction is the key to success, the people at BumperDoc have dedicated themselves to providing fast and friendly services at honest prices, giving careful attention to every vehicle and every customer, satisfaction guaranteed. This is Your Opportunity to join the team!